Web design has made some amazing strides over the years. A process that once required advanced coding knowledge and weeks of work can now be accomplished in the span of a few hours if you know which software to use and how to use it. With the best WYSIWYG web builders, the power to create an awesome website has changed from the hands of the few to the domain of the masses. Unfortunately, the proliferation of such WYSIWYG web software has made it difficult to immediately discern which is worth your time and the fast-paced nature of the modern web ecosystem necessitates quick decision making to gain a competitive advantage. That's why we've decided to roundup some of the best in an attempt to determine which is the best WYSIWYG web builder. We'll be looking at online and offline options, and focusing on the site building functions of the programs in questions. 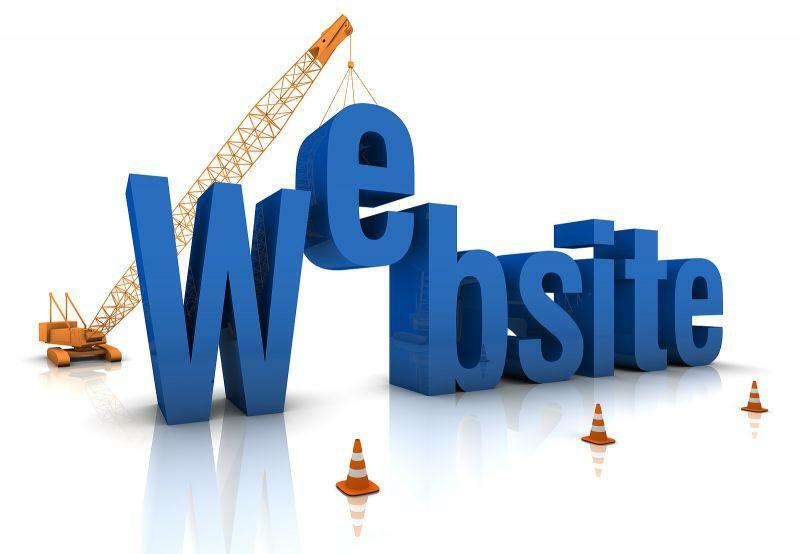 While it's true some web builders offer hosting services as well, our aim today is to narrow down who can help you build the best-looking, most functional site with ease. One of the oldest and best-known online WYSIWYG website builder/hosting services out there. Weebly offers plenty of services to web developers, but today we're concentrating on that site builder. They've been hailed as intuitive, responsive, and capable of creating fully-functional pages that look great. Does the reality match the myth? By-and-large, yes. After a short sign-up process, you're treated to everything that the Weebly web builder has to offer. Weebly has a decent selection of themes to choose from, 48 at last count. These themes are divided into categories to make it easier to locate the one that will best suit you: Featured, Online Stores, Businesses, Portfolio, Personal, Events, and Blogs. You can preview each theme before you implement it to get an idea of what your site could become. The options they provide are, for the most part, clean and professional. I chose one at random, the Vivien theme, which Weebly classifies as a personal site. It gives you a big background image, a clear, centrally positioned site title, and simple navigation right at the top of the page. It's straightforward but well done at the same time, exactly what a beginner would need. From there it's just a simple matter of customizing the page with your info. Once you select a theme, you'll enter the site-building interface. Weebly gives a panel on the left with your options, and you can go to work dragging and dropping to your heart's content. There are a few restrictions on where you can place elements; you don't have absolute freedom in fine-tuning the look of any individual template. Still, you can get a close approximation of what you're going for, and in the end, the limitations enforce unity, alignment, and proper looking design. Weebly lets you manage individual pages from the sidebar, but many elements you can alter directly on your page view, which not all WYSIWYG web builders allow. It's great for working fast and on-the-fly. What isn't so great is the lack of an undo feature. Unfortunately, you'll have to fix any mistakes manually, which will slow you down. Weebly allows you to throw in widgets, apps, and the like with ease. Just select what you want and drag it onto the page. The offerings are fairly vast, so be sure to check them all out to make sure they have what you want covered in our Weebly review. Weebly also allows you to do some limited image editing on-page. It isn't the most extensive, but it's good enough to get the job done. The drawback with Weebly and images is that they don't allow you to upload all your files to an online library for easy access. You might find yourself uploading the same file over and over again if it's one that you want to reuse in multiple places. Adding a blog is similar to building any other page on your Weebly site. You can include automatic publishing, automatic Facebook and Twitter announcements, RSS feeds, badges for other social media sites, and comments as well. Not the most feature filled blogging interface, but more than enough for most users. Weebly is a fine easy-use option with plenty of features for building a great-looking site. The “flexible WYSIWYG web builder,” Wix, has many of the same features you'd find with Weebly's site-building interface, with some key differences. It's definitely the easiest to use, and you get a greater degree of freedom when it comes to customization. Like Weebly, you start off by choosing your theme. There are plenty to go with, and they are also broken into categories that favor creative and business professions: Business, Online Store, Photography, Music, Design, Restaurants, Accommodation, Events, Portfolio, Blog, Health, Fashion, Community, Creative Arts, Landing Pages. On a whim, I took a peek at the Urban Photography template. To drive the point home, they hit you with a stunning landing page with a central title and “enter site” link right in the middle. Click through, and you're immediately presented with a grid of awesome photography, which you could easily substitute with your own. As with Weebly, you can drag and drop elements right onto your page to change the look. Unlike Weebly, there are fewer restrictions as to where you can place objects. This might lead to instances where you screw up the design, but it affords you freedom to tweak things to your exact specifications. If you do make a mistake, just hit undo and it's like that error never happened. Wix's web builder also lets you right-click elements for additional options. You can make further edits and customizations on the display that you'd have to search through the sidebar options to find with other website building software. You can upload images to a library (a big plus). You also get the Aviary photo editor integrated so you can make robust changes to your photographs on-the-fly. You can add a blog with one click, then, like Weebly, set your options for publishing, comments, social media integration and more. Wix will also auto-generate a mobile version of your site that will display properly across multiple devices. Wix is feature-packed and earned its place near the top of the heap when it comes to the best WYSIWYG web builder platforms online. 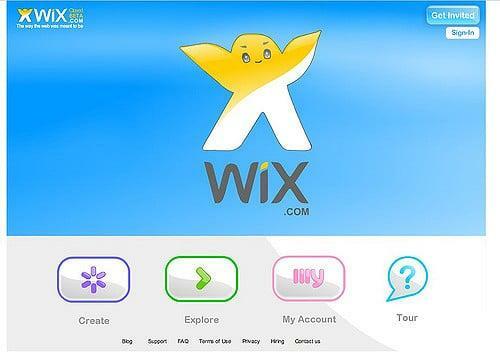 Check out our Wix review if you need more information about this editor. 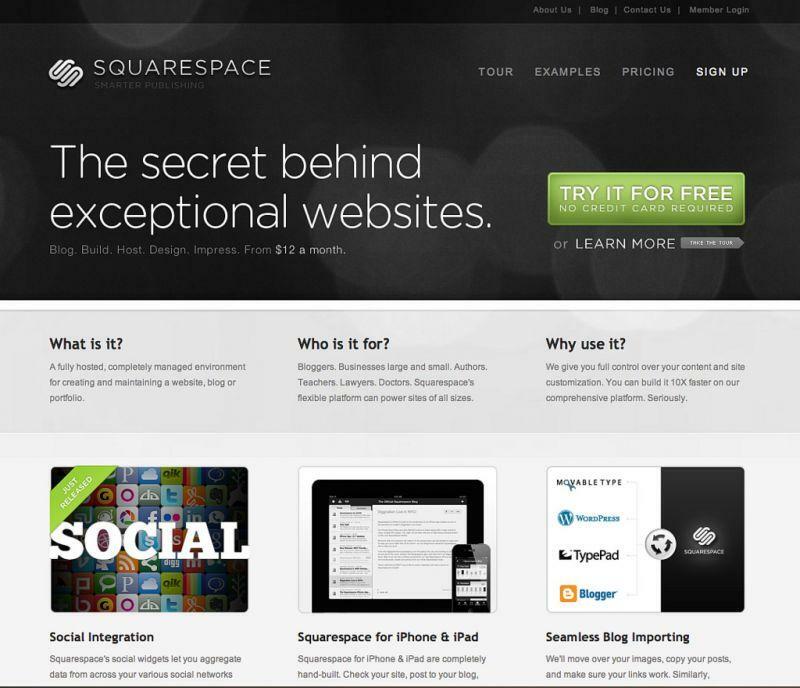 Squarespace isn't the easiest to learn. What it does offer, however, are the best out-the-box templates on the market. The options are fewer than other web builders, but they've gone with a strategy of quality over quantity. You're not going to go wrong, no matter which you choose. The Alex template, for example. Just a photo and some navigation. Doesn't seem like much, but the font choice and placement of the scant elements are perfect. There's very little you'll need to do to make this or any other template your own. Just plug in your details (which Squarespace walks you through during the onboarding process), and you're good to go. That “beauty over everything” attitude is mirrored in the design interface. It's slick but less intuitive. It's also more restrictive than any of the other options, enforcing great design by handicapping what you can do in-builder. That isn't to say that you don't have any freedom, though. Instead of dragging and dropping, you can click on areas of the page that Squarespace will allow you to add content, then select from available options. All the usual suspects are there, including text, media, HTML and Flash code, social media widget, and various apps. You can edit images with Aviary on Squarespace, but they don't allow for a personal photo library for you to reuse images (a bit of a bummer). The designs are all responsive, at least, and like Weebly and Wix, Squarespace will automatically generate your mobile site for you. Blogging is similarly easy. You just need to select that you want a blog from your sidebar menu, and Squarespace will generate the page for you. From there, it's up to you to add your content and select your specific options. Squarespace might be the most limiting of the bunch, but it also provides the best-looking finished products with minimal effort. For some, that tradeoff will be worth it. For others, there are plenty of other WYSIWYG web builders on the list. Jimdo tends to get lost in the shuffle among the best WYSIWYG web builders. They've refined their image and ratcheted up their marketing efforts over the past few years, though, so they're starting to get some of the respect that they deserve. By now you should know the drill. Select your template, and get to work. Jimdo has fewer templates and fewer categories: Business, Store, Portfolio, and Personal. The options are mostly modern looking, however, with the exception of a few that look like they were pulled straight from 2005. My personal favorite is the Shanghai theme, a simple layout geared towards designers and creative types. Jimdo gives you plenty of options from their sidebar, and you can click directly on-page to add new elements. It could be best described as a mix of the Squarespace model and the Wix philosophy. It's no mere bootleg, though, and gives you plenty of room to create a professional, if basic looking site. It will also take more getting used to than some of the other editors on the list. Options are slowly shown to you as you get deeper into creating your page instead of presented all at once. You might take this as a blessing, keeping you from getting overwhelmed with choice, or a flaw, keeping you from getting right to what you want. Either way, Jimdo is a solid WYSIWYG web builder, though not the very best of the bunch. Want to create and publish a site in minutes? That's the claim that Simbla makes. It's another in the bevy of drag-and-drop WYSIWYG web builders that have flooded the web. This one has some promise, though. You get the ability to select from templates or start from scratch, and can then add or remove elements from the page as you desire. The templates aren't the pinnacle of design, but they are up-to-date on web trends and are responsive to boot. I was enamored with the Surf option, a long-scroll site with a nice hero image. It's practically a finished site; you just need to swap in your own details, which you can do, as advertised, in minutes. Higher-end options that you'd find with other WYSIWYG site builders aren't quite on par yet in Simbla's interface, but they seem to be adding more features as time progresses, and with some more refinement this could be a challenger for the top spot. Moonfruit is a great option if you're just looking to start a quick blog. Their tagline, “Just pick a template and then you're good to go,” sums up the general experience. After you've got your theme picked out, there isn't much left for you to do. Unfortunately, after you've selected your template and built your site, you can't switch to another template. It's unnecessarily restrictive and can get frustrating when you realize you want to go with another option. On the opposite end, the building interface is clean, straightforward, and provides plenty of help in the form of tooltips and tutorials. It's somewhat dated, though, and doesn't enforce great design the way the more polished WYSIWYG website builders do. You can go with this platform if you want something cheap and easy, but if you're looking for highbrow design and full functionality, you'll be better served elsewhere. It's right there in the name, for goodness sake. WYSIWYG Web Builder 11 puts us in downloadable web builder territory. These require more skill to use, but you'll end up with a more fine-tuned finished product. 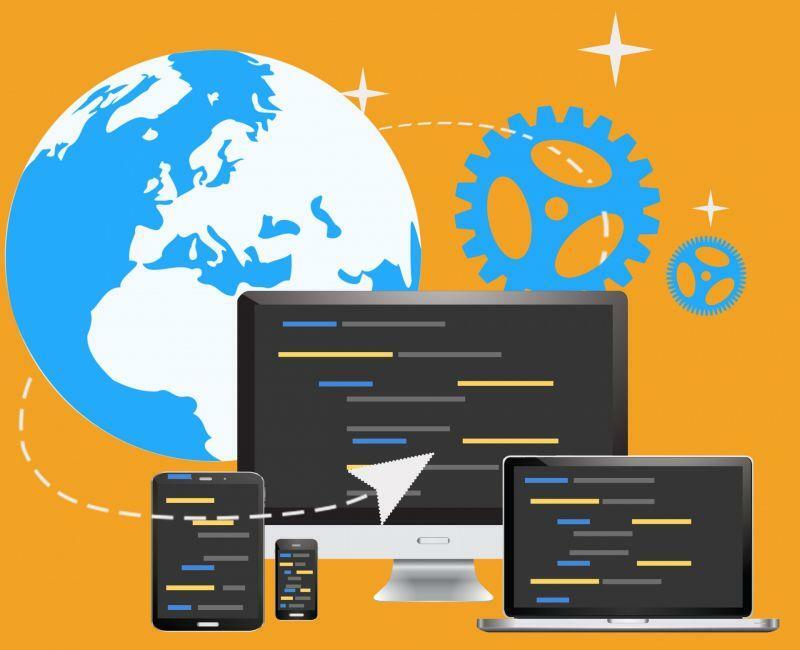 WYSIWYG Web Builder 11 proves that you might not need to code to build a website, but with a more powerful editor like this, you will need to know what you're doing. If you're willing to make the investment of time in learning how to use this software, you can build an advanced site with some powerful functionality. Dreamweaver has made some big strides into the WYSIWYG builder territory. It still isn't as easy as using an online WYSIWYG web builder, but it's on its way with the integration of some powerful visual tools and modernized interface that essentially allow you to build without having to double check your code constantly. Like WYSIWYG Web Builder 11, though, there is still an appreciable learning curve that comes with the software, be prepared to do some studying if you want to build a site that is going to work. Still, the complexity of the platform is a boon to those who want to do more with their pages. You can switch between the “live view,” a facsimile of what your page will appear like online, and your raw code. If you've got coding and design chops, this is going to be the tool of choice for building the best site possible. With a few more updates, this could easily become the prime options for newbies and advanced web builders alike. Mobirise is free, which is great for everyone. You can download this web builder for PC or Mac and then get to work. It represents something of a compromise between more difficult programs like WYSIWYG Web Builder 11 and hand-holding interfaces like Weebly. It allows you to choose from diverse site building options, add elements with a single click, but still go deeper with advanced options than you can with your basic online WYSIWYG web builder. If you're taking a crack at your first high-powered website, you might want to give Mobirise a chance and see what it can do for you. You'll still have to take some time to get used to the interface, but the drag-and-drop platform is much easier to comprehend than most other offline site WYSIWYG web builders by far. The designer/HTML coder's dream. Their Responsive Site Designer allows you to work with both HTML and a live preview of your site. You can start with one of their varied themes as a base, but don't have to stay constrained to what the theme presents. You're free to alter whatever you want with no restrictions. There are plenty of options, so you'll probably be spending just as much time learning what everything does as you will creating your site. This can lead to some instances where you've completely ruined your design, but if you want the freedom to do so, CoffeeCup provides the place where you can have at it without restrictions. Your personal choice for best WYSIWYG web builder will depend heavily on your end goals and level of skill. If you're a newbie looking to make a quick site with plenty of assistance, you'll want to choose one of the top-tier online web builders to guide you through the process. If you're looking for something more advanced, and don't mind putting in the hours to learn how to make a more feature-packed site, though, you'll be much better off with one of the powerful offline WYSIWYG web builders and the extra freedom that those programs provide. CLICK HERE TO GRAB GREAT HOSTING! 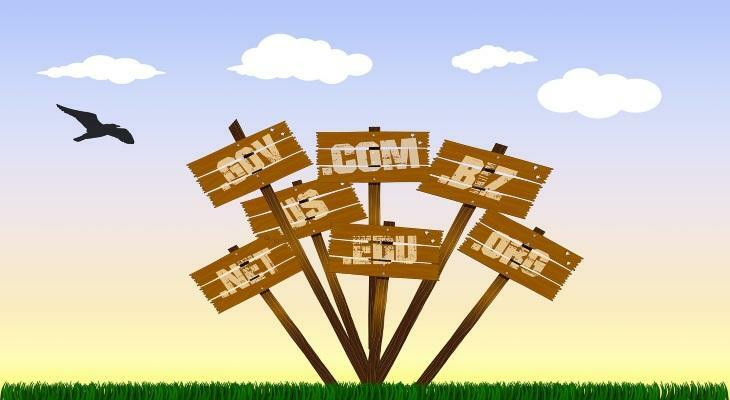 Domain.com Review (2019) – Plans, Pricing, Ratings & More! Arvixe Review – Web Hosting Plans, Ratings, Pricing & More!